Every September, when Fall seasonal beers start rolling out, I get a mean craving for German lager in all forms. Typically, having not planned accordingly, I start an Oktoberfest too late, and end up buying some commercial brews to satisfy myself while awaiting my homebrew. This year, I am planning ahead, making a long list of brews I want come Fall, and brewing them in the Summertime. 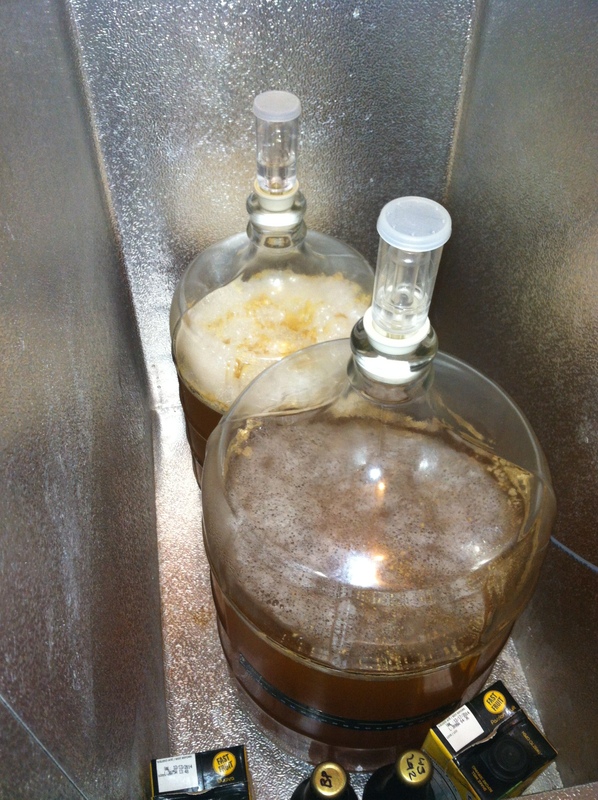 Over the past 2 weeks, in preparation, I have brewed two small-batch lager starters: a 4 gallon Session Munich-style Helles using White Labs German Bock Lager yeast and a 2 gallon German-style Pilsner using Wyeast Bohemian Lager yeast. 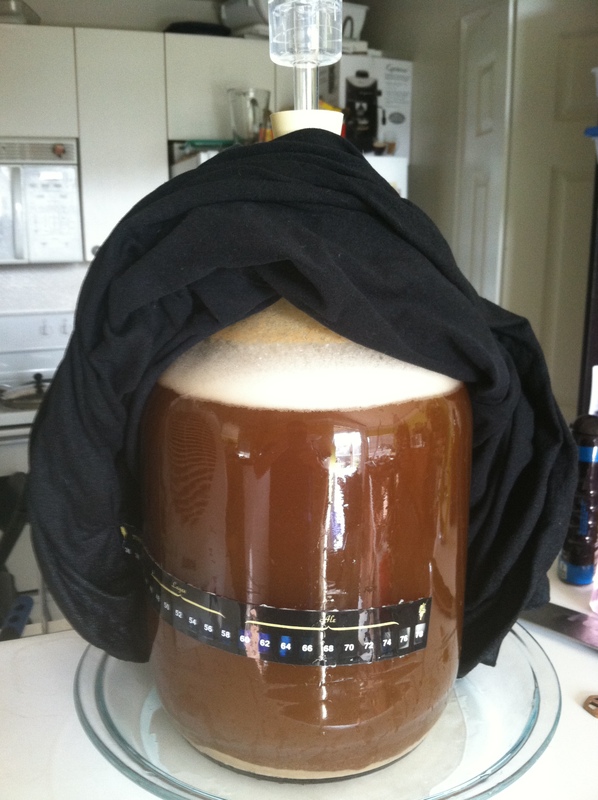 Instead of making a 2L starter, I make 2.5-4 gallons of low gravity lager. Wyeast smack packs and White Labs vials, when fresh, give homebrewers enough yeast for lagers when pitched warm, ~65F, and slowly chilled to lager fermentation temps ~50 F. This method grows plenty of yeast for the starter batch with a clean ferment, and provides lots of yeast for the next lager batch. Also, as reported by White Labs, the warm pitch doesn’t produce a notable amount of esters on the palette. I’ve used the warm pitch method many times, including for competition brews, without any noticable differences by my fellow homebrewers and Grand-Master BJCP judges. From the lager starters, I plan to make a Helles Bock and Oktoberfest from the German Bock Lager yeast and a Schwarzbier from the Bohemian Lager yeast, all likely by the end of the month. After fermenting through July, these batches will lager throughout August. Come September 1st, when my mean craving comes around, I’ll have loads of my favorite German lager styles on tap, ready to be had by the liter-full. Look for a more detailed lager starter batch post soon. In addition to the starter batches, I recently brewed my first one-gallon batch. Craft A Brew kindly sent me a brown ale extract kit, and brewed it this past Wednesday. The kit is fairly basic, intended as a starter kit for new homebrewers and craft beer enthusiasts, containing the necessary brewing equipment to whip up a one-gallon batch of homebrew. It was my the first extract brew in two years, and reminded me of brew days as a beginner homebrewer. It was also incredibly fun, and stress-free as all-grain brew days tend to have a bit more drama. All totalled, I have 3 active fermentations, all small batches (1, 2, and 4 gallons, respectively). It feels good to back to full brewing operations, especially after a few brief pauses while taking my graduate school class this past Spring. Look for a detailed brew day post using the Craft A Brew kit soon. What are you brewing this Summer and planning for the Fall? Leave your thoughts in the comment section below. Cheers, and happy brewing!